Congratulations you made it through band camp. It was a long and hard week for all of us. A huge thanks goes out to all of our drum majors, the leadership, all the people who showed up and gave everything they had, our amazing staff, and our wonderful band director, Mrs. Boates. Thank you all for making this band better as a whole and we hope you continue to support us as we continue to grow this season. The drum line worked really hard with Adam all week. It was clear that he was well liked by all. Ashleigh did a fantastic job teaching all of our new guard members the new drill with the help of our captain, Kristen. I know the pit had a great time working with Chris. They did a great job learning our challenging, pit heavy field show. With all this hard work there has to be time for some fun. It's not band camp until the frisbee starts flying. Sadly band camp is almost over. Its been a long week and for some of us a long week and two days. So long we had to have a little nap time on the field. Leadership has been doing a fantastic job working with the new comers and getting them ready with the challenging new drill this year. This is the most pride and enthusiasm I have ever seen from the band. Keep showing that Panther Pride! Winds, drum line, guard and pit are doing an awesome job working with our staff. The staff has been putting in just as much effort, if not more, than the band itself. Bandos be sure to thank them for all that they have done for you. I hope to see all of you there tomorrow nice and early. Remember to get a good night sleep so you are well rested for another tough day of band camp. Don't forget to bring water! We are glad to have our veteran members with us now! Our new members are doing a great job keeping up and learning so many new things. The picture posted here demonstrates one aspect of how certain parts of music are related to math. 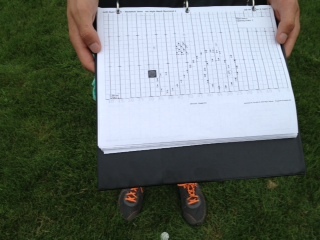 Reading marching drill is all about grids, directions and spacial relationships. Thanks to those that came to the picnic on Monday evening. It was great to get to chat with many of you and hope that everyone had a pleasant time. I know the students were proud to show you what they have learned. There are still a few band members that haven't made it to band camp yet. If you know any of them, contact them to let them know they are missing an awful lot of information. Band camp is an essential component to our class. Another successful day of band camp! We practiced basic marching techniques, worked on our music, played a little and worked hard. I am very proud of all those that have joined us so far. Shout out goes to our section leaders and drum majors! You are living up to everything I knew you would be! Congrats to all of our new members who are just beginning on their exciting journey with The Panther Pride Marching Band. If you weren't able to join us these last two days, be sure to come Monday as we dive headfirst into our field show music and drill. Don't forget we will also have our Welcome Back Picnic at 5:00 pm on the front lawn. Have a great weekend, and see you all soon!